The LAN Connect eliminates having to use DNC software and limitation of RS232 cables. The device connects to any standard Ethernet cable from the corporate network and is assigned an IP address. Using Microsoft Windows Operating System or FTP software, the NC program can directly load the files onto the SD card for the operator to use at the CNC machine. The CNC operator can select the file to transfer to the machine using the LCD display. The new enhanced model allows for the operator to remotely call from the control the desired part program from any server on the network via wired or wireless Ethernet connection. A single file location allows programmers to easily control CNC file version. Connecting the LAN Connect device to CNC controller allows the machine to run at its maximum baud rate and eliminates an operator from having to run back and forth from PC to machine to begin machine operation. Network Lag Protection (NLP) employs a unique design to provide network starvation. 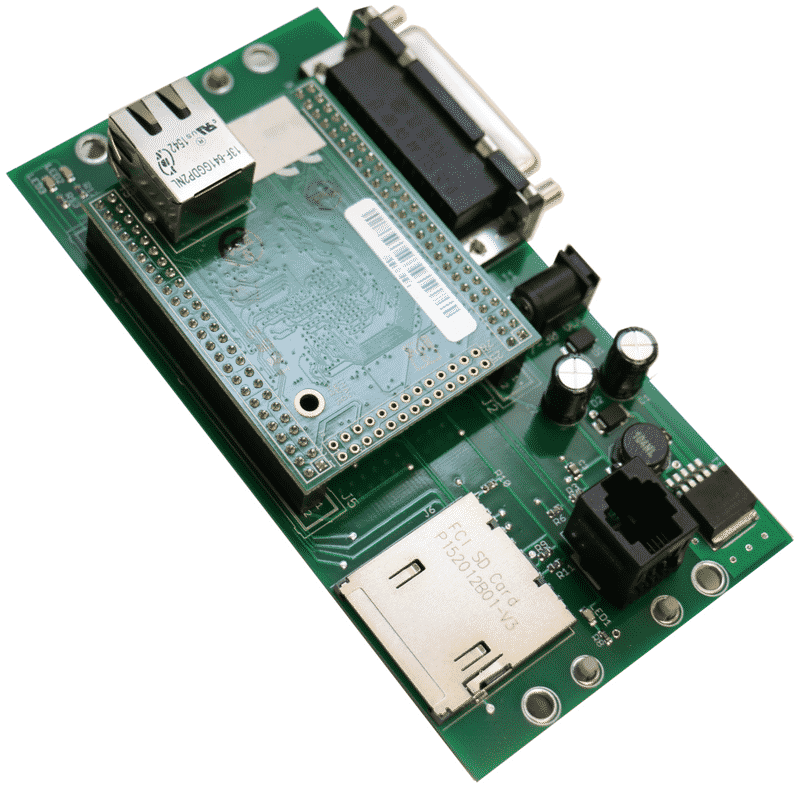 CNC controls can be extremely sensitive to the flow of data through the RS232 port. The flow of data, sometimes known as drip-feeding, is critical as a stoppage or pause can be a problem in parts being machined. The LAN Connect eliminates this problem by sending the complete part program to the machine prior to operation. The benefits of this device has been said to reduce the cost of adding DNC Software required to communicate to machines and enable Ethernet cabling to be used as a standard on the shop floor. Ease of implementation and connection to the machine can be accomplished with IT Departments whom normally resist interfacing with CNC machines using serial cabling. The cost to add Ethernet functionality to any machine from the machine tool builder can be very expensive and now can be done at a minimal cost. The LAN Connect device works with any CNC control on the market with a serial port and been tested with Haas, Fadal, Mazak, Hurco, Yasnac, Cincinnati, Bridgeport, Mitsubishi, Mori Seiki, Siemens, Okuma, and others.